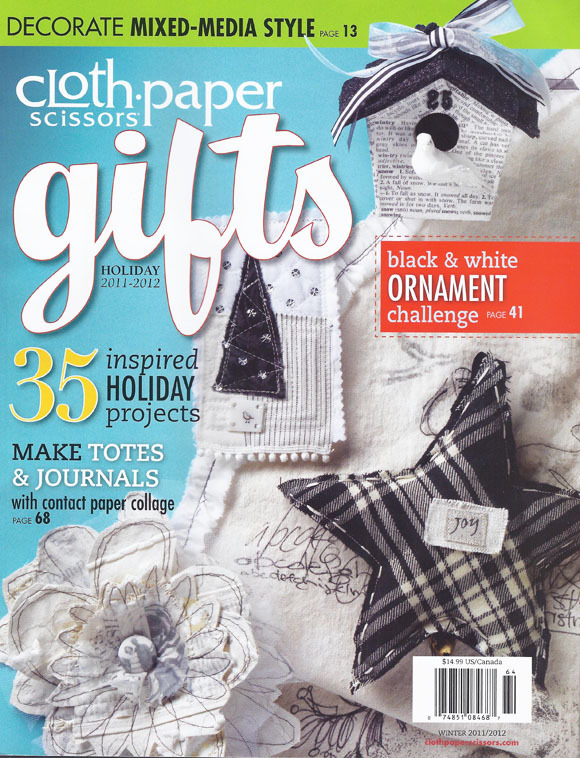 Have you gotten the gifts issue of Cloth Paper Scissors yet? It came out just a few days ago. I received my copy this weekend. I am planning to make most of the projects in the magazine. I personally think it's the best issue yet, and not because I have a project in it.. But since I have a project in the magazine, I was given a couple of extra copies. I am going to give them away to you. I will tell you how you can win in a bit. My project in the magazine was called Key Keepers. It is a key holder or dog leash holder made with wood, paint, and found objects. It's my first magazine project not using anything ceramic! Crazy eh? I was so excited to see it in the magazine and also I got five pages of pictures and instructions, boy that's a lot! The pictures as always are amazing. Okay, I'll stop... Well hold on, I will stop in a minute. Remember these stars I was painting the other day? Those beautiful paints that I used are eco friendly, non toxic, and just darn beautiful. I sell them in the gallery and I adore using them, can you tell? I listed a few in the Etsy shop this morning. I put colors together that I thought would be pretty combinations for the Key Keepers. I listed some found object mixes as well. 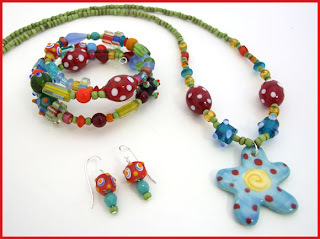 While I was adding things to the Etsy shop, I added some bead mixes. I taught a jewelry making class at the gallery last week. We had a ton of fun and the students came home with a finished necklace, bracelet, and earrings. Anywho I listed some similar mixes to the shop.One mix will make all there pieces! Okay so back to the give away. I have two magazines to give away and two ways to win. First way....leave me a comment below, tell me if you started you holiday gift making, I would love to hear. 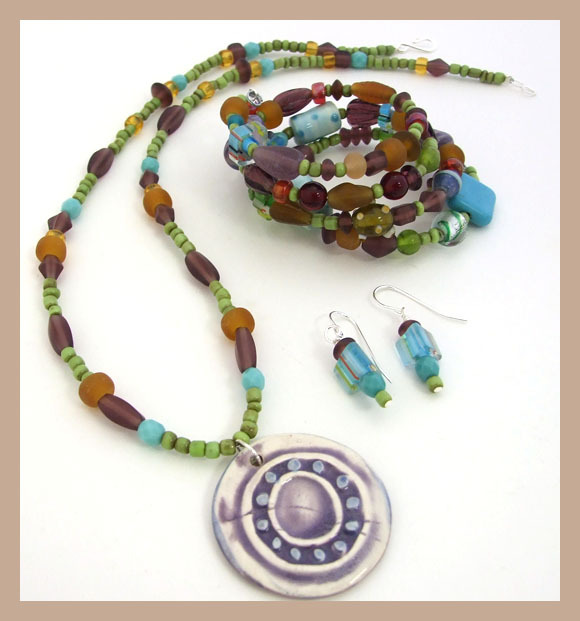 Second way to win.... follow my blog. I will choose a winner randomly from my followers. Good luck and I will choose a winner on Friday, October 7th, the same day I choose a winner of the Holiday Beads too, yipee!